I got a new book the other day. It was one that I had on a wish list for a while now. It was a history of the Austro-Prussian War of 1866 – The Austro-Prussian War – Austria’s War with Prussia and Italy in 1866 written by Geoffrey Wawro. Being the kind of wargamer I am, the first reason I liked the idea of wargaming that war was that it really was misnamed. 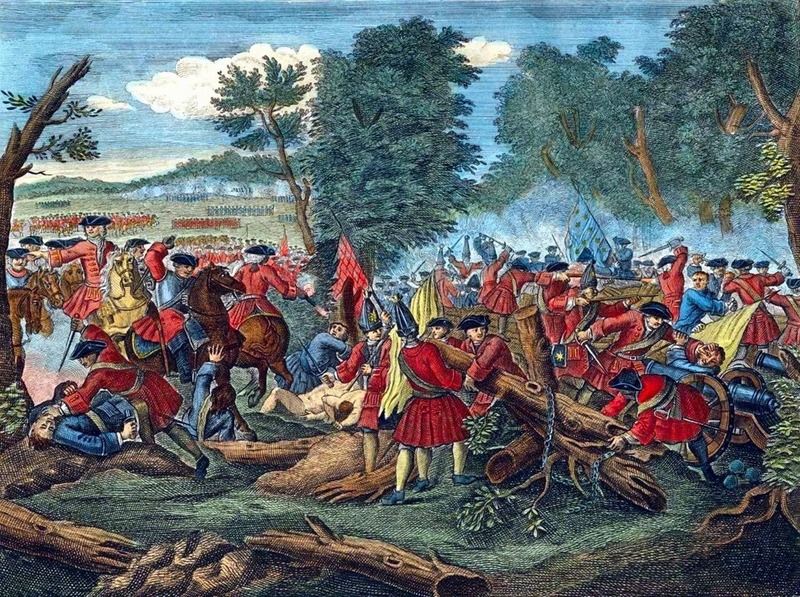 The war actually involved Austria, Prussia and Italy, with the Prussians and the Italians taking on the Austrians with varying degrees of success. 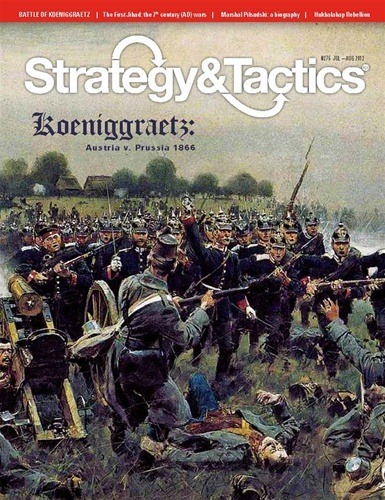 I then got to thinking, Doug has been nagging at me to do some Franco-Prussian War figures so that we can play that with Polemos but i have been manfully resisting. Now, Italians and Austrians, there is an interesting pair, and he can use his Prussians. 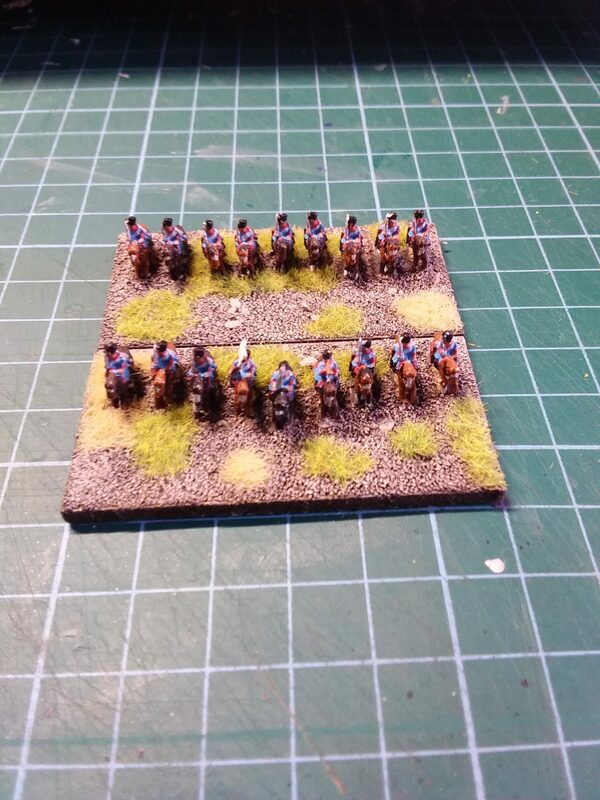 I recalled that in 1859 there was a little war between those three protagonists and as I plan on gaming this in 6mm, the uniform detail should work for both 1859 and 1866 Italians and Austrians. 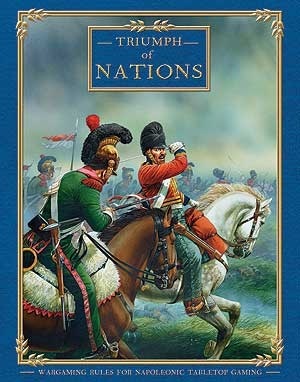 I need to research the French Uniforms a little to decide whether the 6mm Franco-Prussian War French will work or whether I need to look at collecting some Crimean War French. Voila, my next project to add to the growing pile of half and incomplete projects. Ah, wargames heaven. This means that I am currently 15% finished. Another update in a week or so. There is almost enough based there to have a small game now. 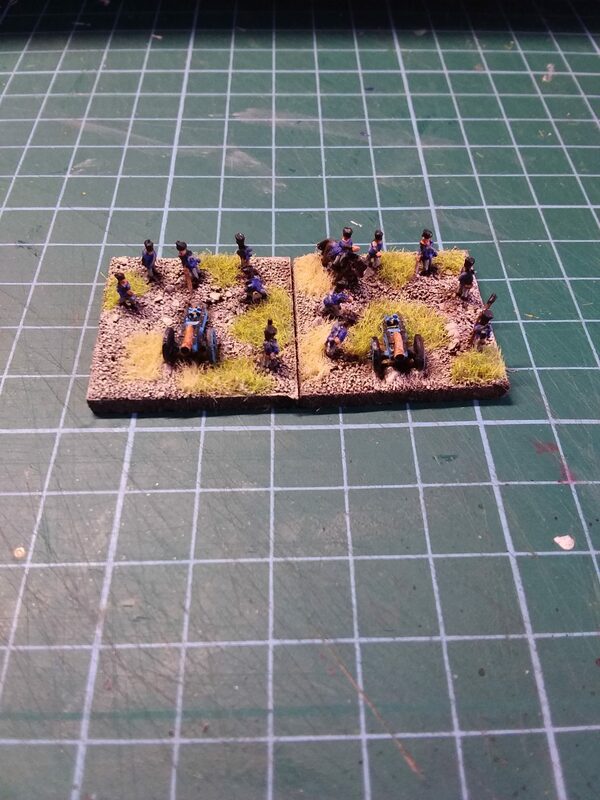 I should also mention that in between painting the Prussians I have also been painting World War 2 Italians and completed 14 AFVs, some infantry and artillery for them. I thought I should keep better track of how the painting is going so I thought I’d post an occasional progress update. This is the first of them. This means that I am currently 10% finished. Another update in a week or so. 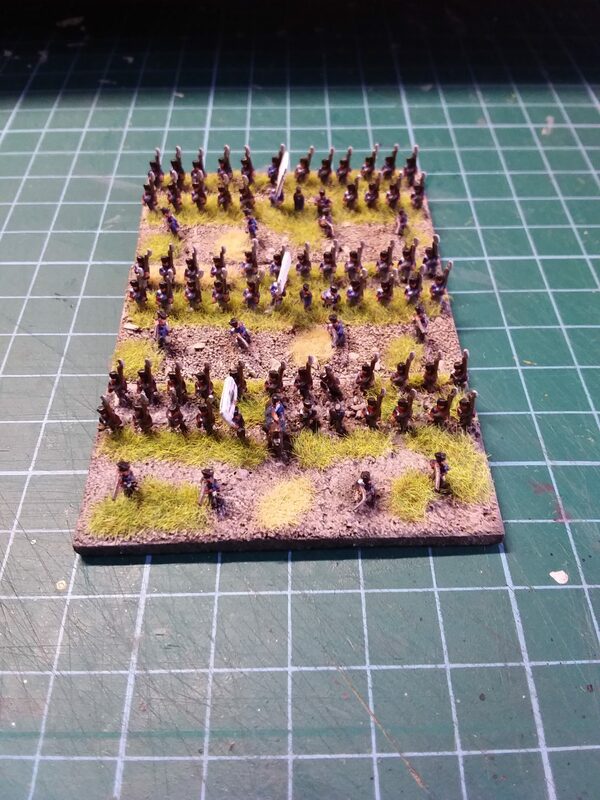 Whilst building my 6mm Napoleonic’s, I decided that my Prussians would be part of a historic formation. I decided that the Battle of Leipzig worked as it was in 1813 when the Prussian rebuilding was finished and the later Prussian army was starting to approach its peak. 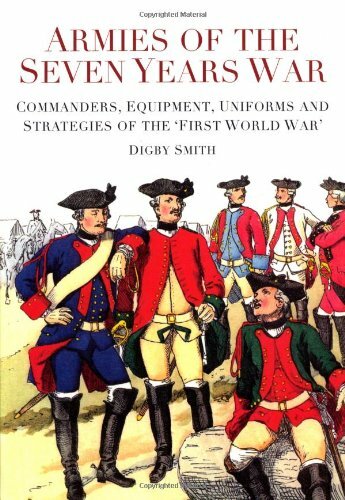 1813 also gave me the chance to work in some other troops as well if I felt the desire. 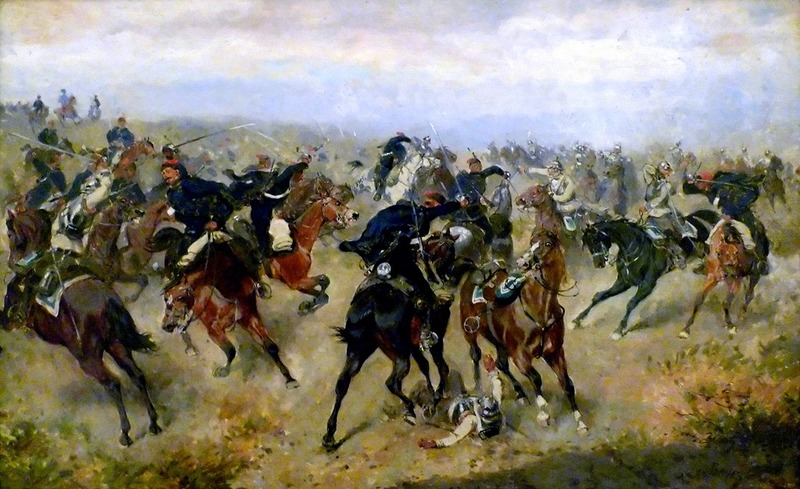 The Battle of Leipzig occurred in 1813 and on the one side were the Prussians, Russians, Austrians and Swedes. Perfect. Plenty of variety available for the future. 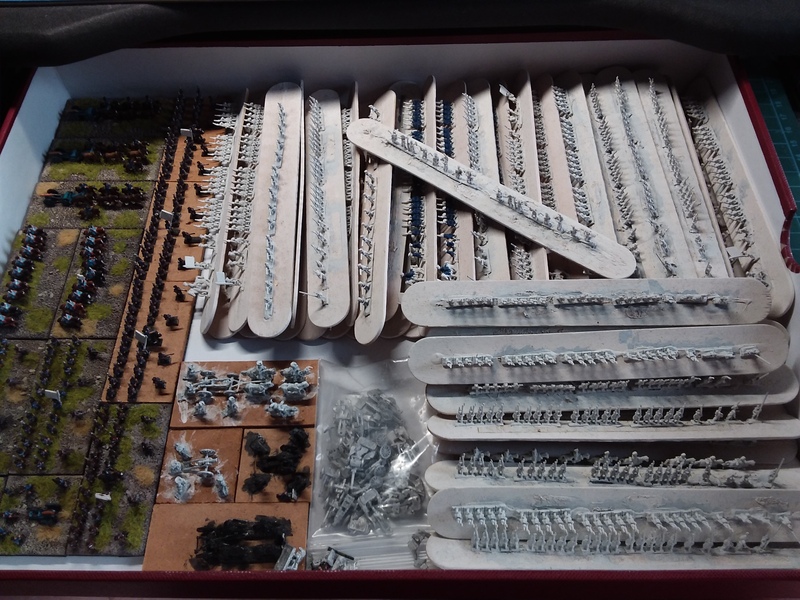 I had checked George Nafziger’s Order of Battle for Leipzig looking for something to fit. I had painted the first Prussian battalion (my test painting effort shown above) as the 1st battalion of the West Prussian regiment. II Corps of the Prussian Army was therefore the logical choice. I will need to buy more figures to make this up (great excuse for a wargamer) but what I have now gives me a good start. 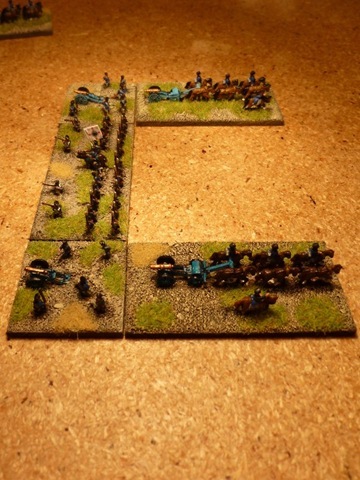 The Order of Battle of II Corps and my painting information for them is shown below. 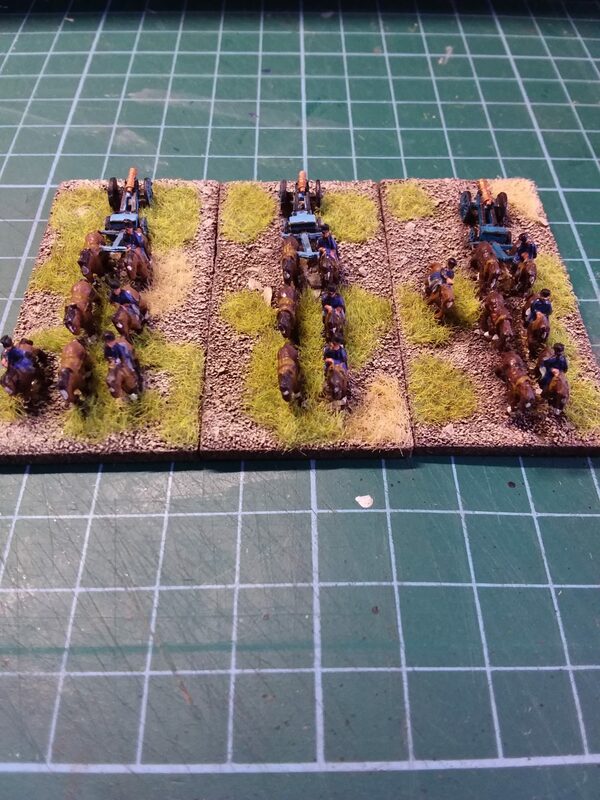 These are being done for Polemos General de Division wargame Rules available from Baccus. 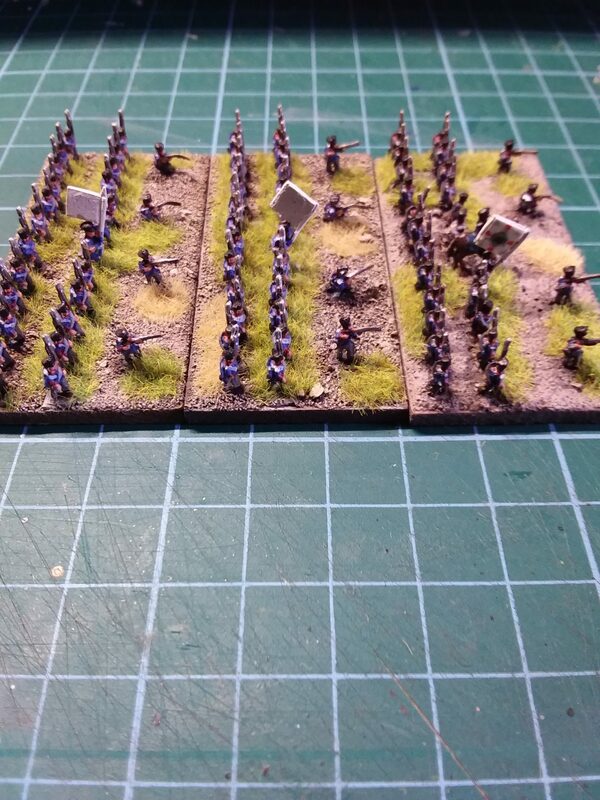 I started doing the Prussians using Heroics and Ros figures so all the Prussians will be from that manufacturer. 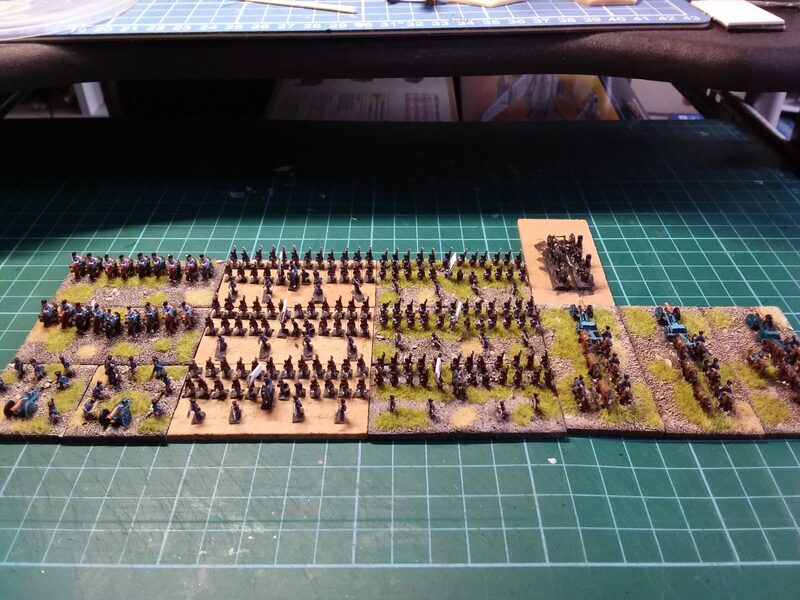 At the moment I have sufficient for 6 battalions of regular Infantry, 4 battalions of Landwehr, 4 squadrons of Dragoons and 3 batteries of artillery. I will need to get more. The Prussian Corps were part of the Army of Bohemia under the overall command of General Prinz Schwarzenberg.